Nobody ignores Caetano Veloso importance in the history of the Brazilian popular music. 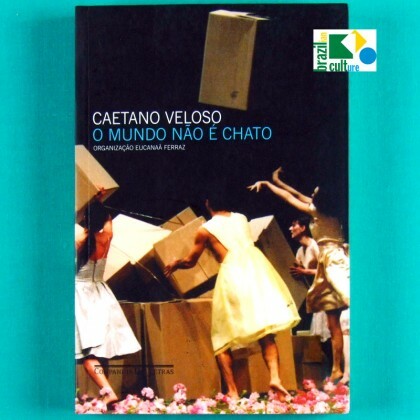 But it is probable that many are surprised with this book, that it confirms Caetano writer's profile. "O Mundo não é Chato (that means "The World is not Annoying") is a compilation of written for newspapers, magazines, inside covers of record albums or other aricles that appeared as forewords and conferences, besides some unpublished texts. The arch of time that the book includes is not small: it includes old texts, when Caetano was a critical of Cinema in Bahia State, even written of 2005. Congratulations, you have found it!! !